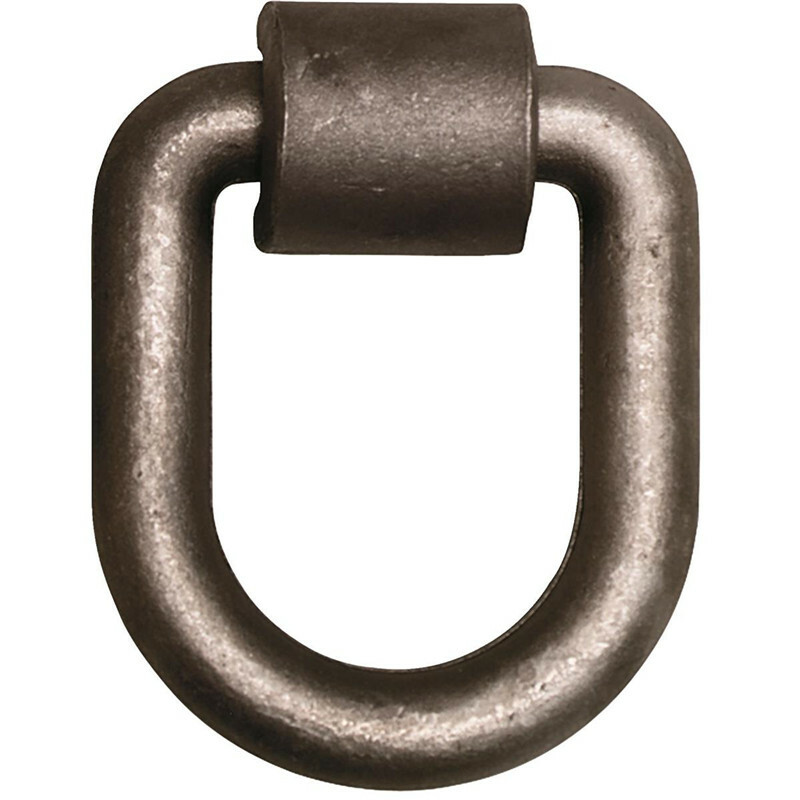 A D-ring is an item of hardware, usually a tie-down metal ring shaped like the letter D used primarily as a lashing point. The term is found interchangeably spelled in different forms, such as: Dring, d-ring or even Dee-ring. A D-ring may be used at the end of a leather or fabric strap, or may be secured to a surface with a metal or fabric strap; though there are D-rings with a middle body designed to be welded to steel. 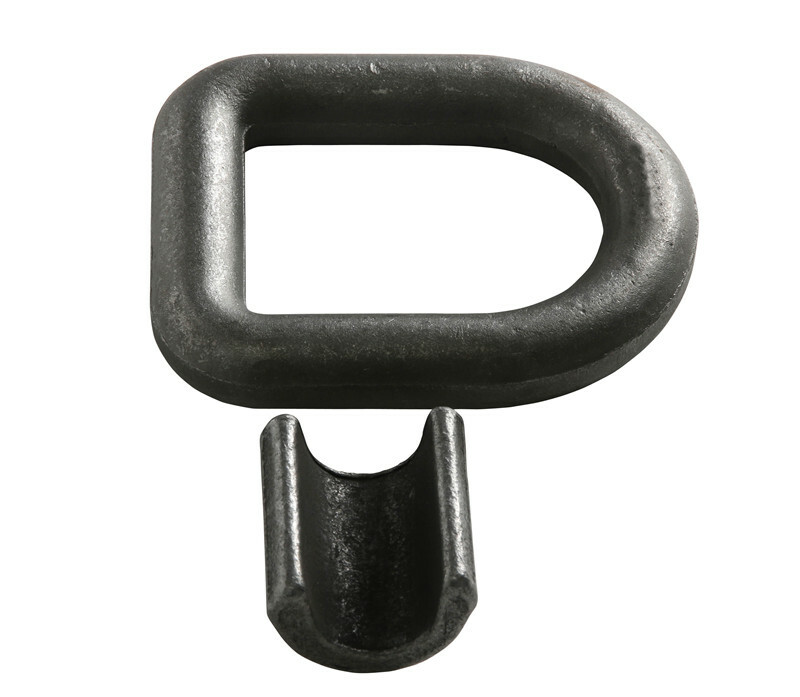 Ideally, a D-ring swings freely after it has been secured. 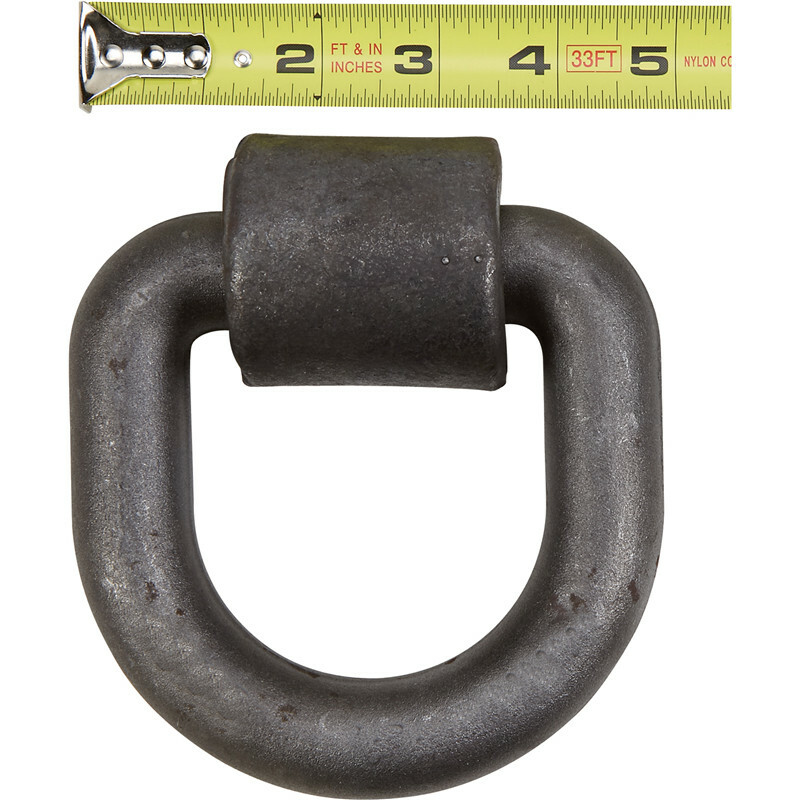 D-rings may vary in composition, geometry, weight, finish and load (rated) capacity. Though there are differences, a weld-on pivoting link is commonly called a D-ring. To minimize obstruction when the D-ring is not in use, recessed tie-down rings are designed that accommodate the D-ring so it is flush to the surface. There are some non-recessed designs that have an adhesive base. The corresponding work load limits (WLL) must not be exceeded. 1) Process: Hot Forging, Warm Forging, Cold Forging, Open Die Forging, Closed Die Forging, Swag Forging, Ring Forging , Casting ,die casting ect. •Professional manufacturer customized metal/plastic products,one stop source for new project developing. Ningbo Huishuo is working in the field of customized engineering spare parts. Our engineers have over 7 years technical background and they have experience in working on new products with the best possible methods. We already work long time together with many experienced factories, and we are involved in every process step of production and quality control. We are confident that we can offer you perfect products against good prices. Q: Are you a factory or a trade company? A: We are a professional factory specialized in manufactory spare parts. 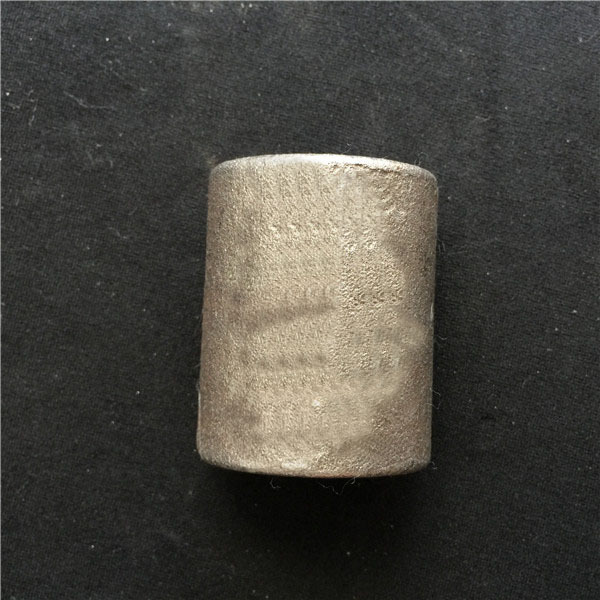 We have many experienced factory cooperated well long time, we get involved in every process of production. Q:Do you make customized products or finished parts? A: Yes,all parts are not in stock, custom made according to customer's drawings or samples! If you have any parts to be made, please feel free to send your kind drawings/samples to us. A: Yes, we will not release your design to third party unless with your permission. And we can sign the NDA before you send the drawing. A: Usually we don`t set MOQ, but the more, the cheaper. 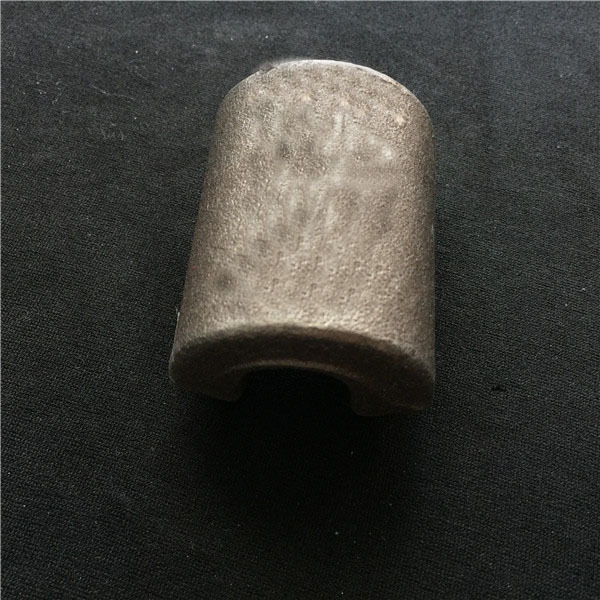 Besides, we are happy to make prototype part or sample for clients to ensure quality standard. Q:Whether some samples can be provided? A: Yes, just need some sample cost, we will return it back when proceed into mass production. Q:How to deal it when they are found to be in poor quality? A: Please rest assured that all our products are QC inspected and accepted with inspection report before delivery and generally there will no non-conformance; in case of non-confiormance, please contact us immediately, take some pictures, we will check on the problems and have them reworked or repaired at the first time , the resulting transportation costs borne by our company. Looking for ideal Dorp Forged Hardware Parts Manufacturer & supplier ? We have a wide selection at great prices to help you get creative. All the Dorp Forged Machine Parts are quality guaranteed. We are China Origin Factory of Dorp Forged Marine Parts. If you have any question, please feel free to contact us.